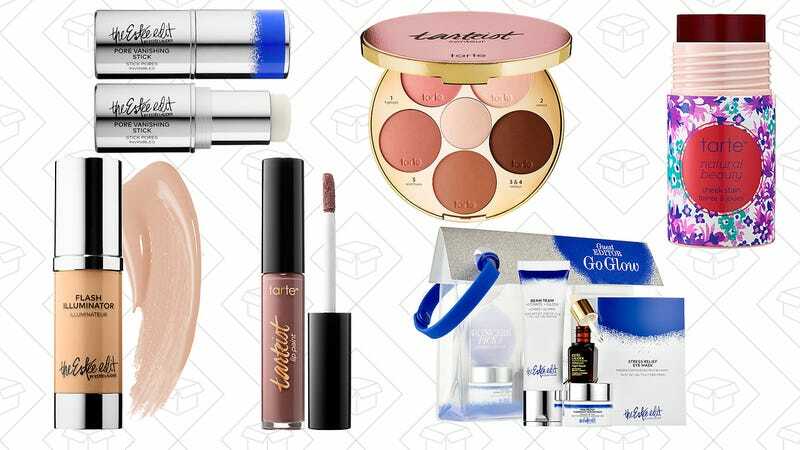 Sephora has a ton of products from Tarte Cosmetics and The Estée Edit marked down to try-it-out prices. The Estée Edit was Estée Lauder’s well-intentioned attempt to get the millennial beauty addicts thinking less about their mothers when buying the brand (Kendall Jenner as a brand ambassador can only do so much). If you wanted to try out some stuff from the collection, Sephora has a bunch on sale right now. I recommend the Pore Vanishing Stick and Beam Team. Tarte Cosmetics is one of those brands that is always in my makeup bag. Right now, grab a bunch of their top-selling products for less while they’re on sale at Sephora. Tarteist Lip Pant, Amazonian Clay foundation, and more are included.